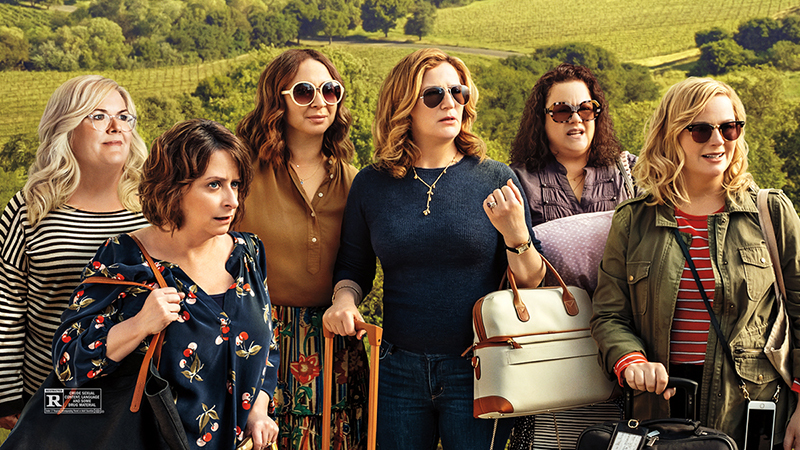 Netflix has released the official Wine Country trailer for their upcoming comedy serving as Amy Poehler’s feature directorial debut. Check out the trailer now in the player below as well as the full key art in the gallery! In honor of Rebecca’s (Rachel Dratch) 50th birthday, Abby (Amy Poehler) plans a scenic Napa getaway with their best, longtime friends. Workaholic Catherine (Ana Gasteyer), post-op Val (Paula Pell), homebody Jenny (Emily Spivey), and weary mom Naomi (Maya Rudolph) are equally sold on the chance to relax and reconnect. Yet as the alcohol flows, real-world uncertainties intrude on the punchlines and gossip, and the women begin questioning their friendships and futures. The movie was written by Emily Spivey, who is reuniting with Poehler after they worked together on NBC’s Park and Recreation as well as Saturday Night Live, alongside Liz Cackowski (SNL). The movie stars Poehler, Rachel Dratch, Ana Gasteyer, Jason Schwartzman, Cherry Jones, Paula Pell, Maya Rudolph, Emily Spivey, Maya Erskine, and Tina Fey. Poehler is producing via Paper Kite Productions, alongside Paper Pictures’ Carla Hacken (Brad’S Status) and Dunshire Productions’ Morgan Sackett, a veteran TV producer (Parks and Recreation, Veep, Seinfeld). Principal photography on the project began this March in Los Angeles and Napa, California. 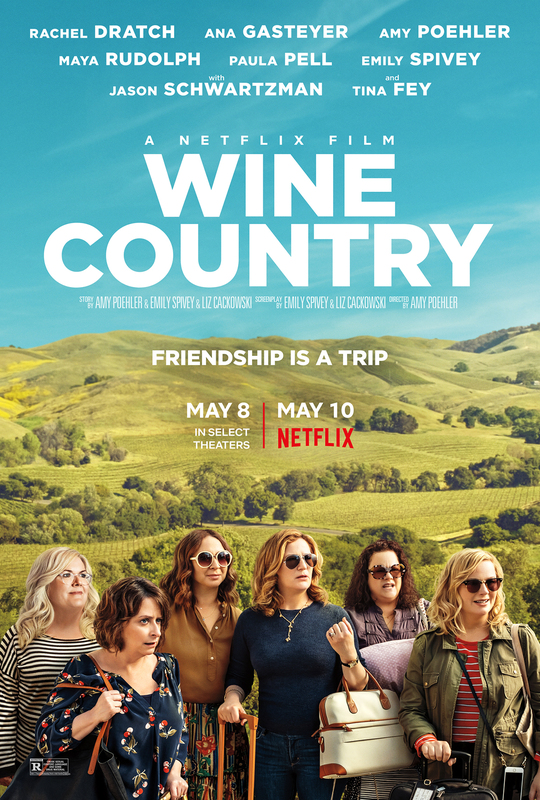 Wine Country will premiere with exclusive theatrical engagements beginning May 8 and will launch globally on Netflix on May 10.